Jill Taylor McKinney has a birthday today. Jill Taylor McKinney added a comment on Profile. Jill Taylor McKinney added a photo to profile gallery. New comment added. Jill Taylor McKinney changed profile picture. 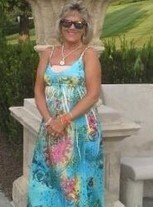 Jill Taylor McKinney changed "Then" picture. Jill Taylor McKinney changed "Now" picture. Patte Marshall Michel posted a message on Jill Taylor's Profile. Hi Jill - I hope you are having a wonderful birthday. Hugs. Patte. Jill Taylor McKinney has left an In Memory comment for Dennis Licci. Hard to believe another classmate is gone..way to soon.My hert fel sympathy goes out to his wife Susan and his children and family.Rest in peace Dennis. Jill Taylor McKinney updated profile. View.